One client in particular has enjoyed incremental success with its online bookings, increasing from 14-20% before 2006 to 70% at present. 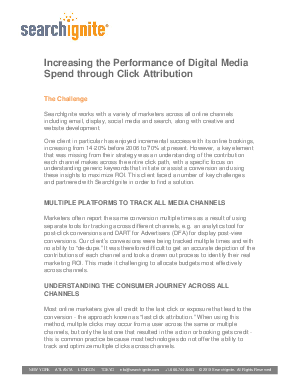 However, a key element that was missing from their strategy was an understanding of the contribution each channel makes across the entire click path, with a specific focus on understanding generic keywords that initiate or assist a conversion and using these insights to maximize ROI. This client faced a number of key challenges and partnered with SearchIgnite in order to find a solution.